Description Exceptional pair - cut to match perfectly! 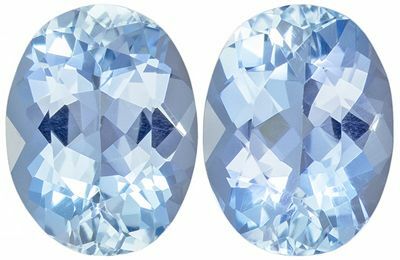 An intense medium rich blue, unheated slight tint of ocean green, superb cutting, clarity and life on this super well matched pair. 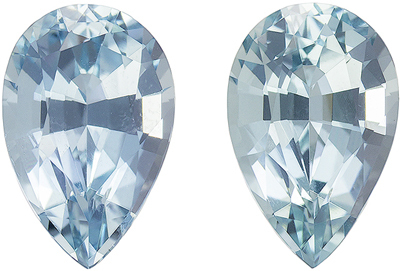 Perfect for drop earrings, a very popular and hard to find pretty pair. From Madagascar. 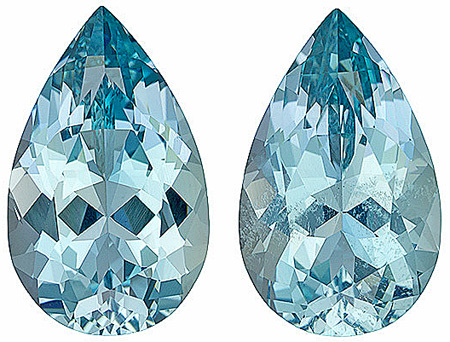 NOTE For a more detailed description of these beautiful Aquamarine gemstones please Contact Us and it will be quickly provided to you.